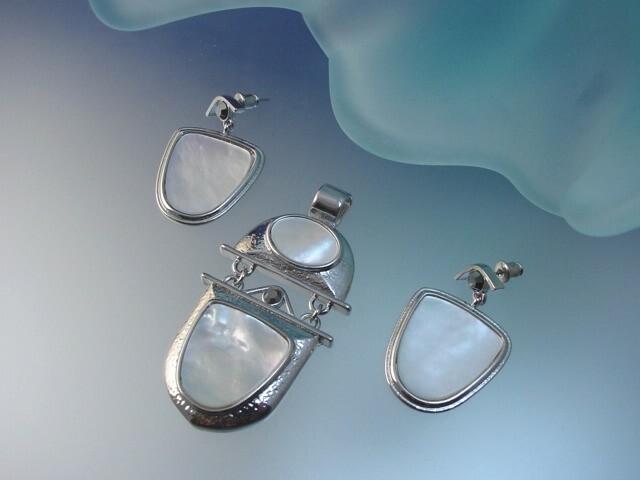 Modern Mother of Pearl Necklace and Earring Set. Find great deals for contemporay jewelry on Kotty Style. Link pendant: L - 2 1/2", W - 1 1/4"
Post earrings: L - 1 1/2", W - 1"